“Since version 1.0.3 Hero of Many is universal app. Now we support iPhone 4S, iPod Touch 5th gen and, of course, iPad 2 and higher. That’s good news for anyone with an iPhone or iPod Touch that is supported. Also, the music is very good, well worth checking out on the above link. 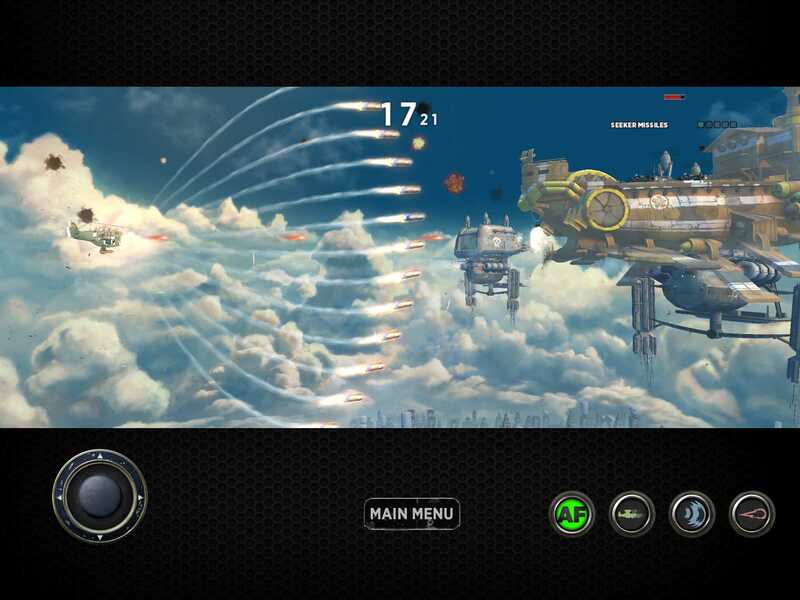 10 word description: Horizontally scrolling shoot-em-up. 7 stages. 50 weapon combinations. Various modes. 10 word review: Undeniably beautiful, arguably not the most thoughtfully optimised iOS port. 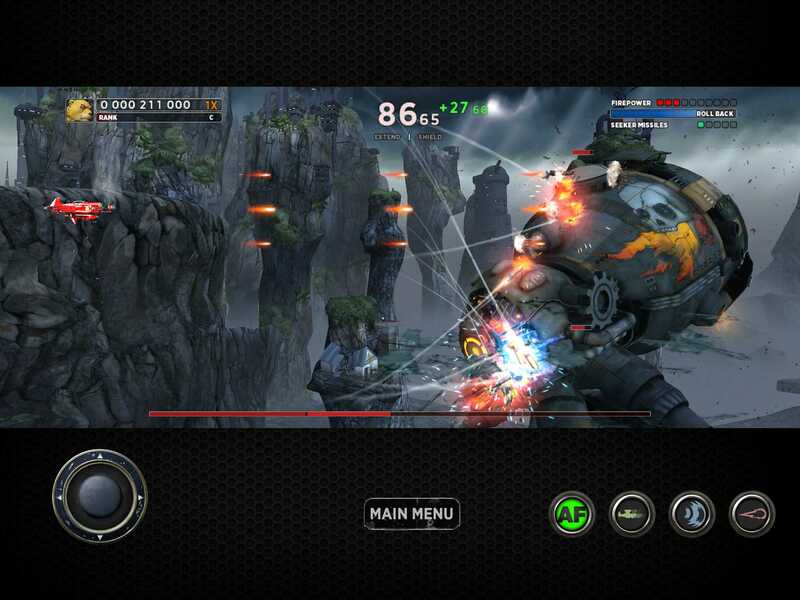 You will like this if you enjoy: Scrolling shoot-em-ups. Popular modern (i.e. 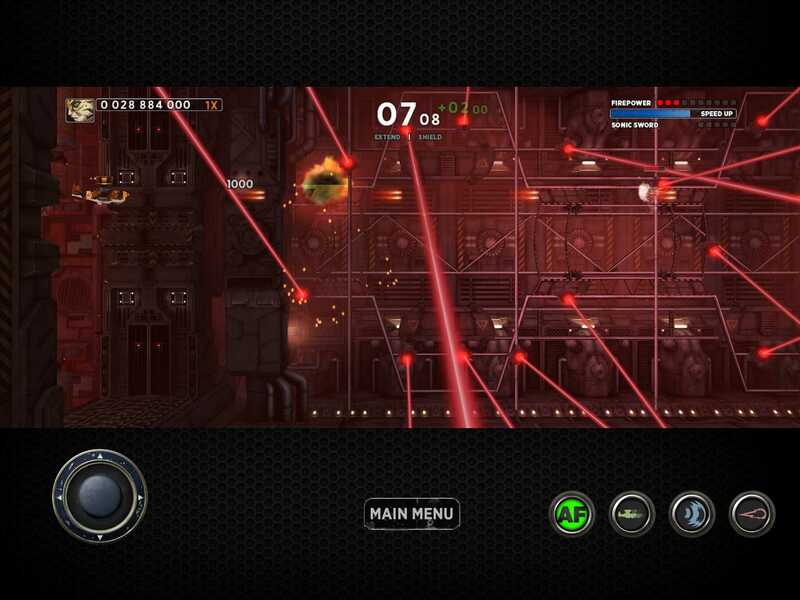 bullet hell) shooters. 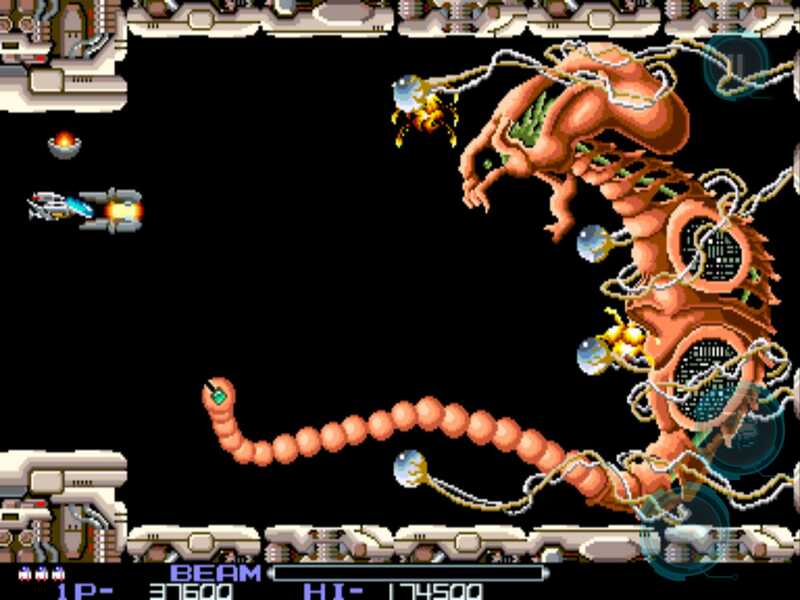 Note – I wouldn’t call this a bullet hell shooter, it just looks like one at times. The good news: Truly gorgeous, detailed, varied graphics. Good scoring system. 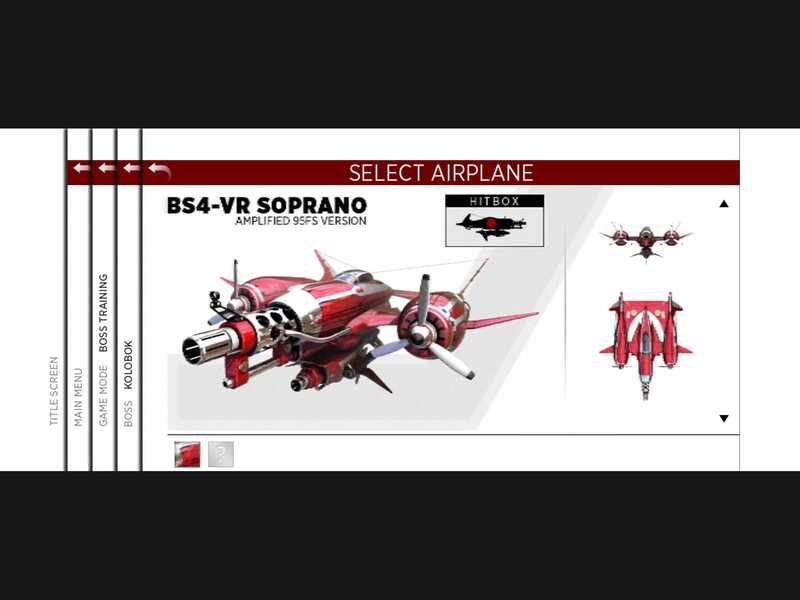 Loads of planes and different weapons. Challenging. No IAPs. The bad news: Odd choice of Facebook for leaderboards, with no Game Center integration. No relative touch control option. The existing control method does work, but I would at least like the option to try relative touch as I suspect it would suit me more than the fixed joystick. The various other buttons can’t be moved/customised which is bizarre, considering the amount of black screen above and below the game display. 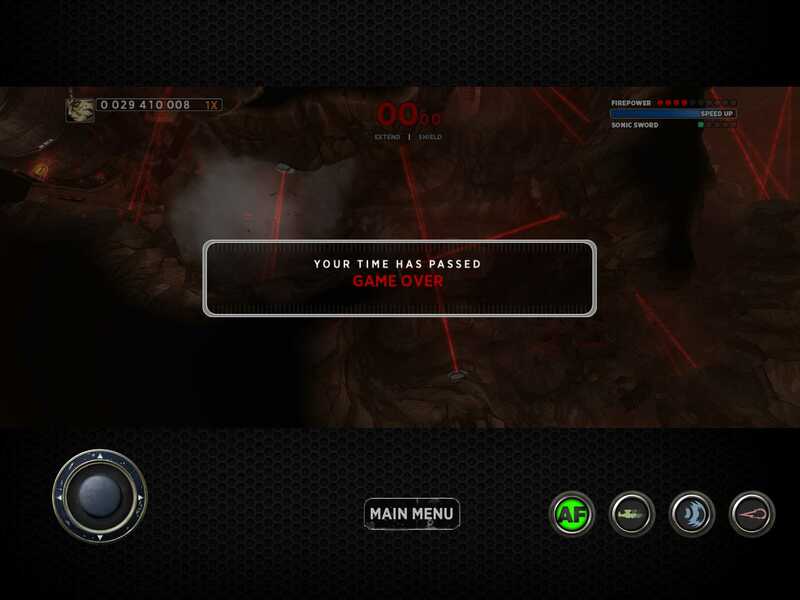 Once you reach the rubbish/garbage chute section, the controls really start to feel like they’re not helping. Arcadelife verdict: This one is close, but not quite all the way there. 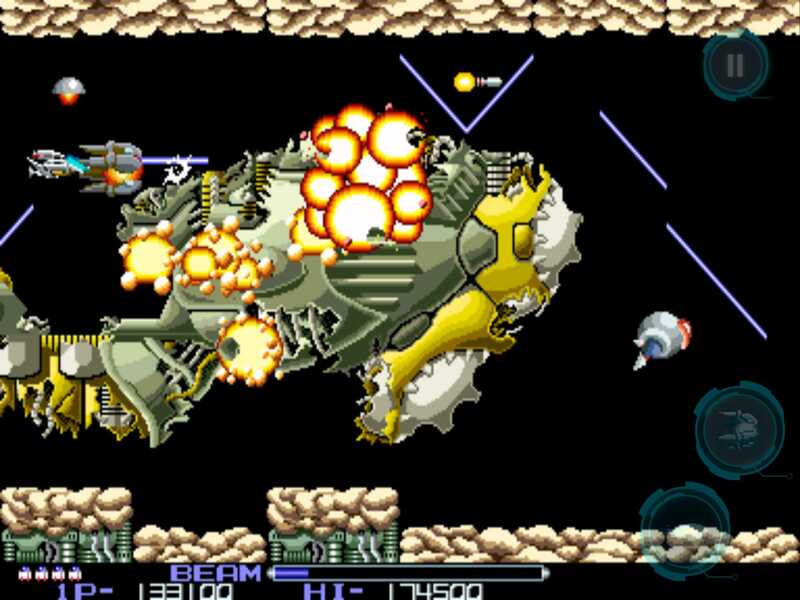 If you’re a fan of scrolling shooters (and you haven’t played it to death on another device) you’re probably going to get a lot of fun out of it despite its shortcomings on this platform. 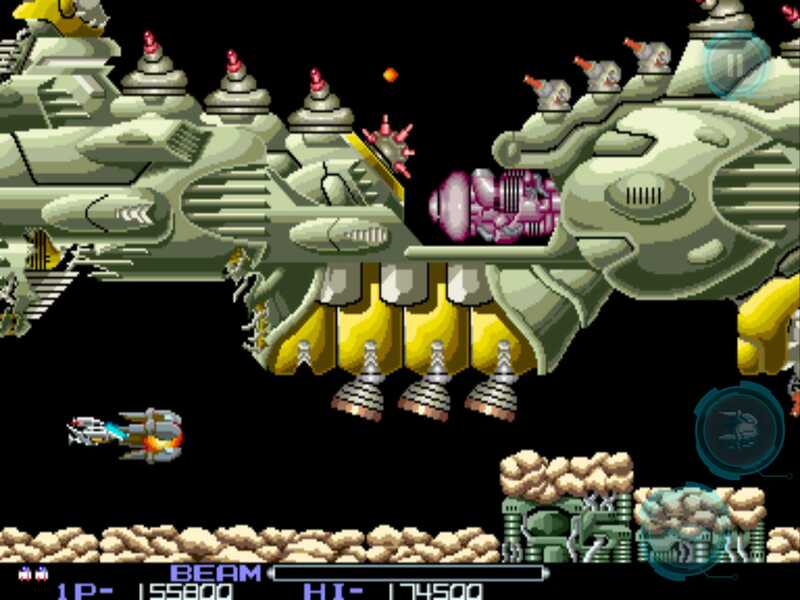 The bosses are very impressive, entertaining rather than just difficulty spikes. They reminded me of the Darius bosses, but they are far more diverse and imaginative. Overall, good game but it needs some tweaks and a bit more consideration for the platform and the touch screen controls. 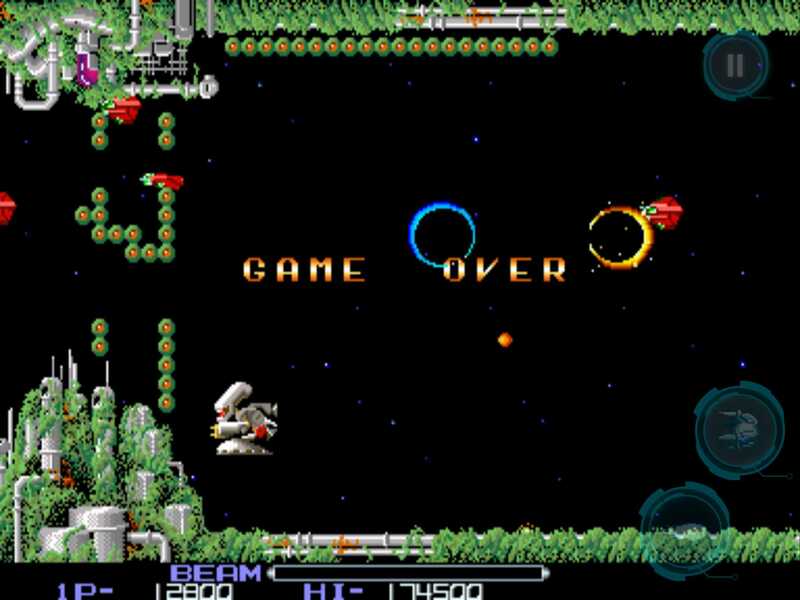 It’s also quite hard, so don’t go in expecting a casual time-waster with infinite continues, because it isn’t. 4th gen iPod Touch (iOS 6.0.1) – Just out of curiosity. It runs, but is almost unplayably slow. 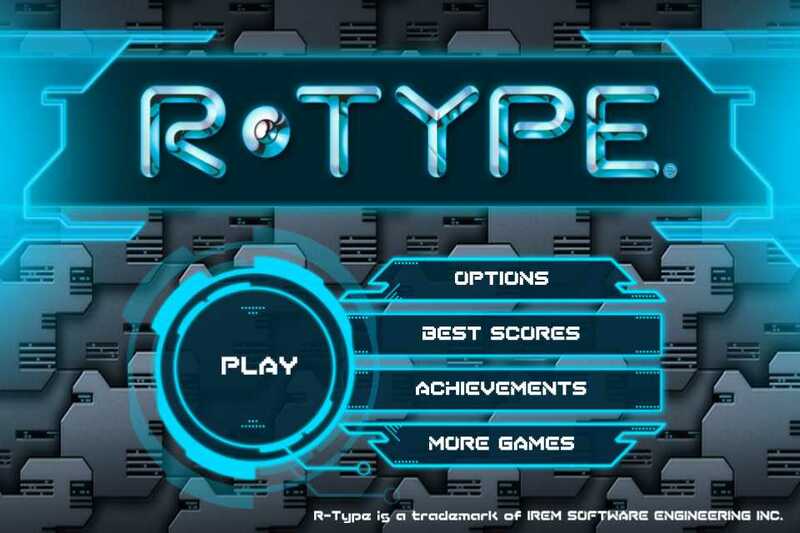 10 word description: R-Type, classic arcade shooter, returns as a universal app. 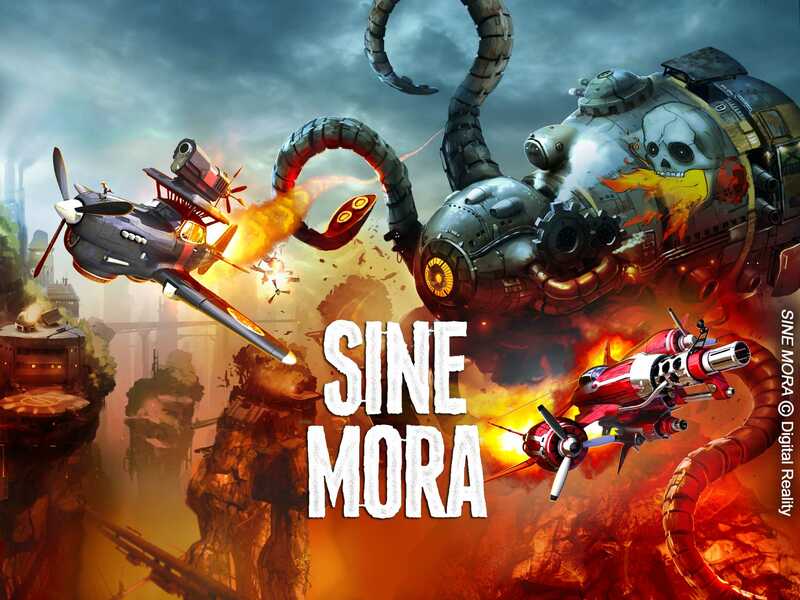 10 word review: One of my favourite games returns, with some minor issues. 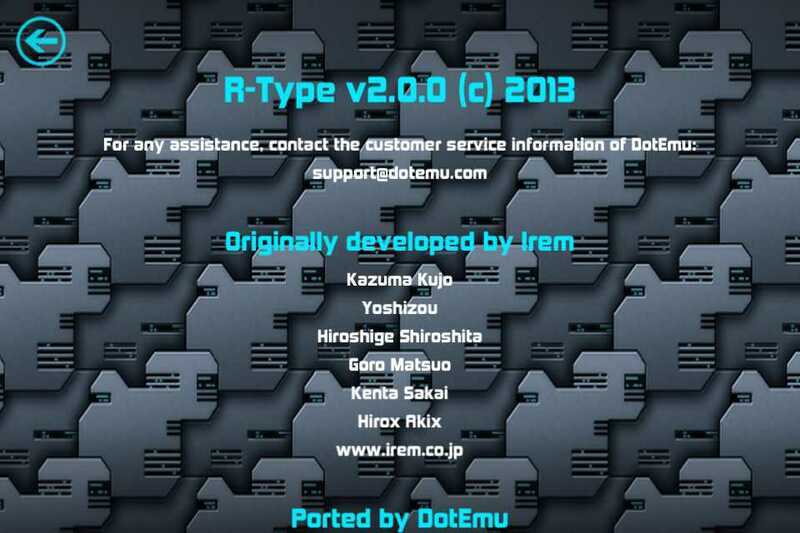 You will like this if you enjoy: R-Type. The good news: At last, it’s back on the app store. 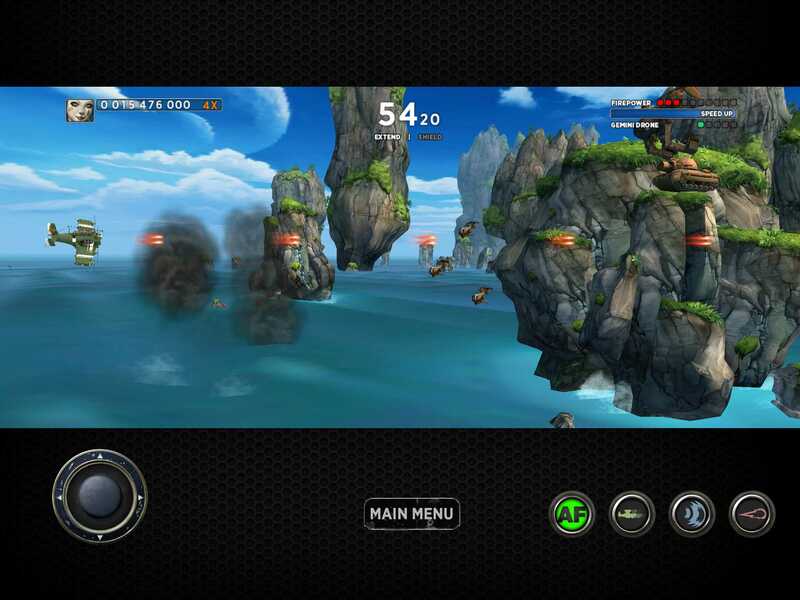 The control buttons can be positioned wherever you want them. 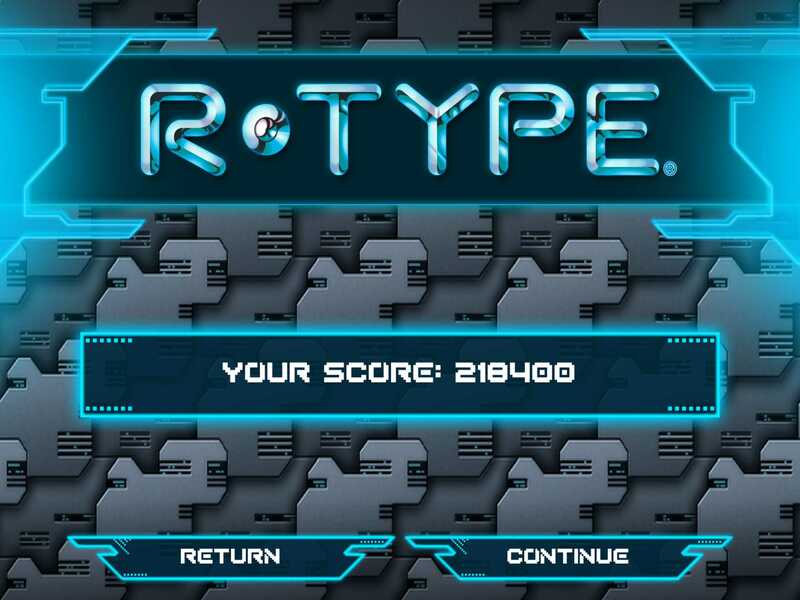 The bad news: The local (device) high score still resets to the factory default after every game. I really don’t like that. 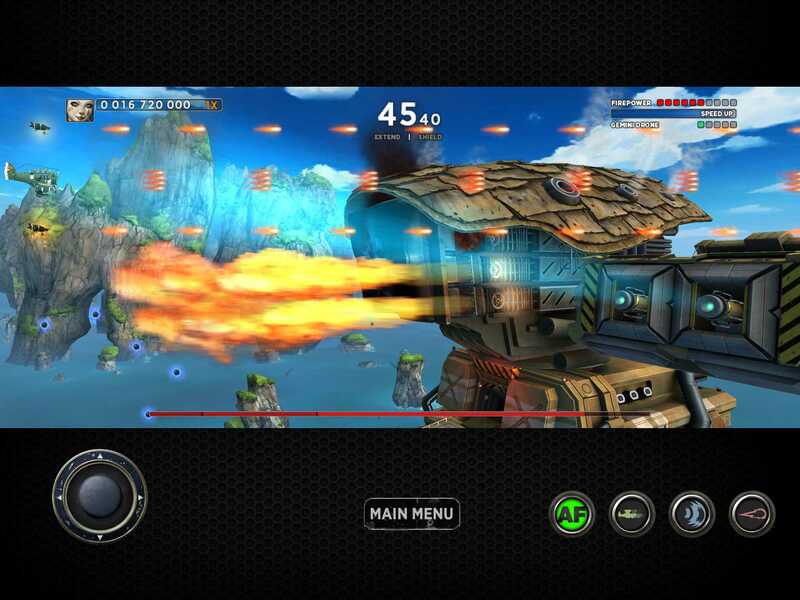 The game now has a requirement for a device with a front camera, purely to prevent it being run on older devices, such as the iPad 1st gen and 3rd gen Touch, which the original version had no problem running on. Runs slightly too fast on iPad 4; turning video filtering off helps, bringing it back to a speed that doesn’t feel wrong. Arcadelife verdict: It’s not a massive improvement over the version that was pulled some time back, although it’s worth getting (at least it was for me) for the universal update and configurable controls. I wish they would sort out the local high score, so that I can see – while I am playing – my best score so far. It’s not much to ask is it? 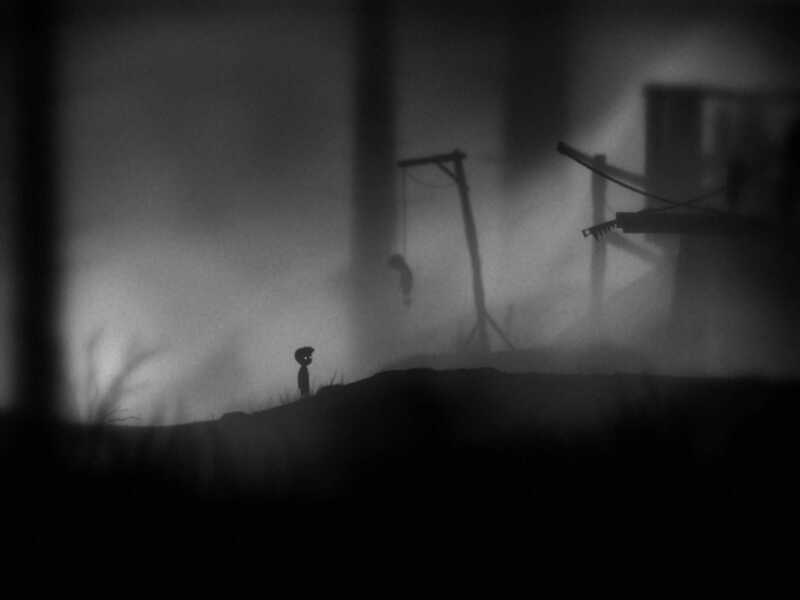 10 word description: Atmospheric, dark themed puzzle platformer. Full port of PC/console game. 10 word review: Impressive port of classic game. Controls are worth an award. 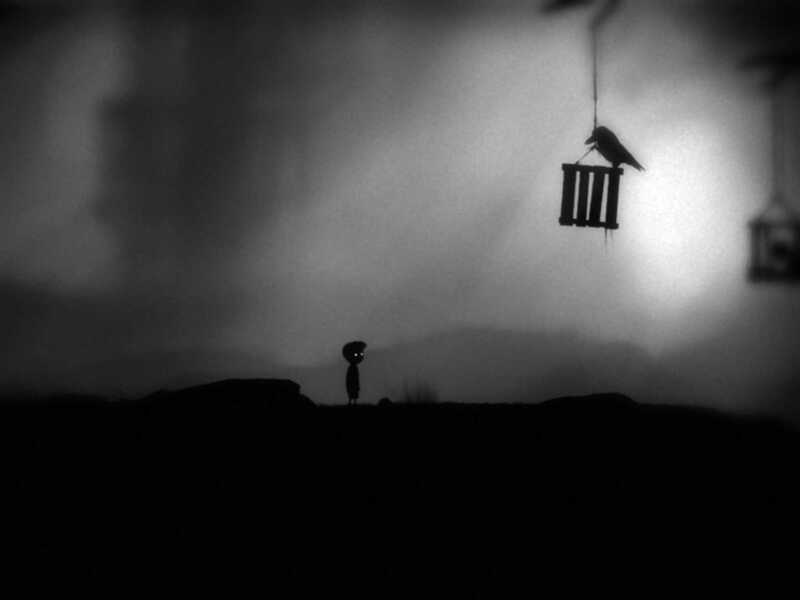 You will like this if you enjoy: Video games that are dark, disturbing and genuinely quite shocking at times. Platform games. 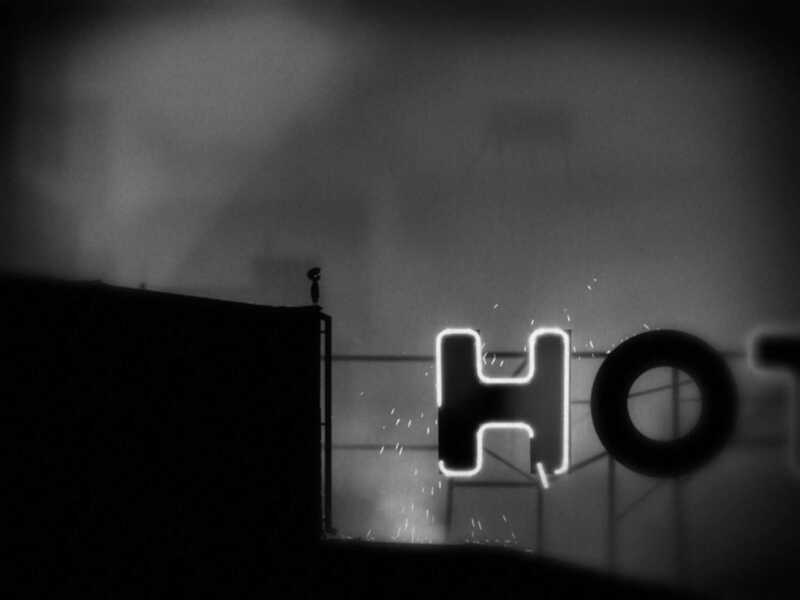 Hard platform games. 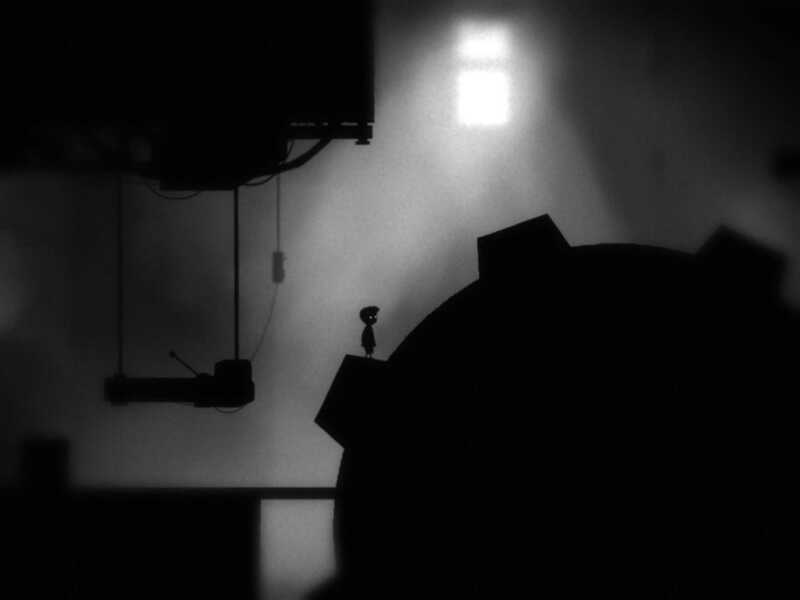 Puzzles that are a mixture of logic, physics and timing. 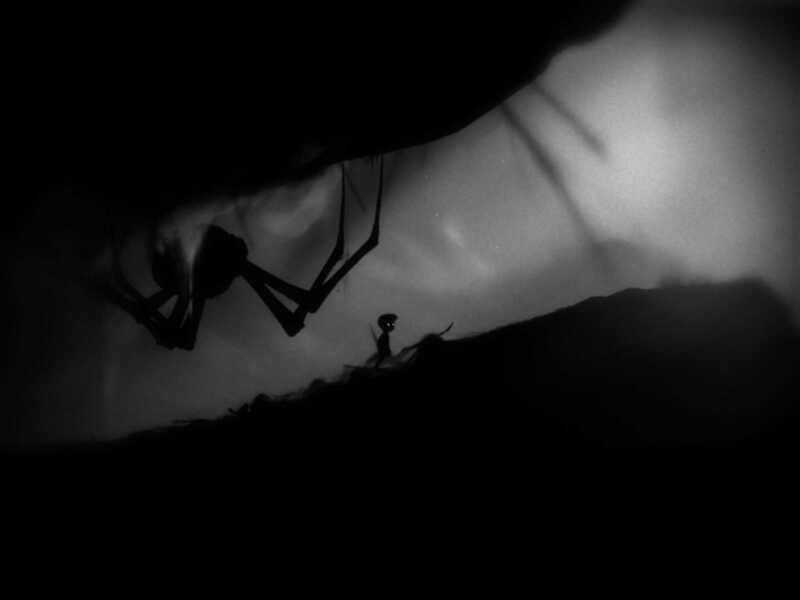 If you also enjoy being threatened and subsequently slaughtered in a grotesque manner by giant spiders, Limbo is definitely for you. 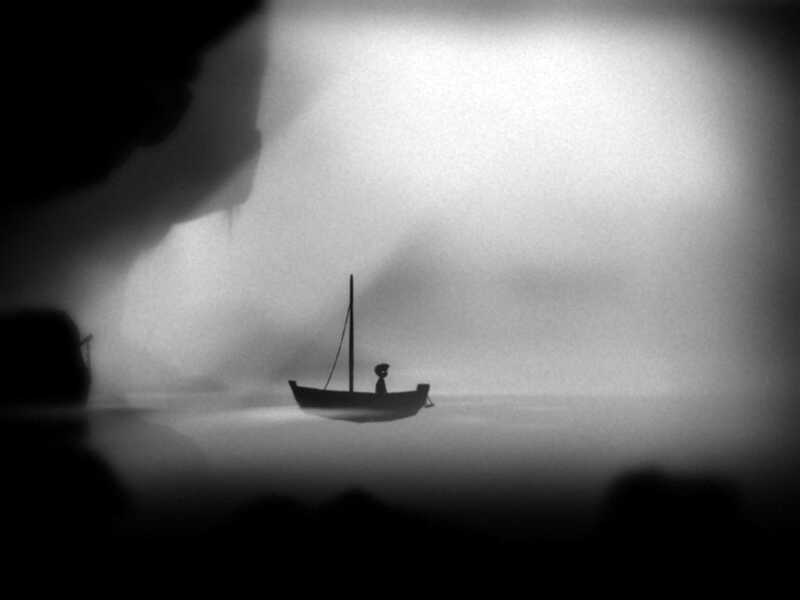 The good news: Limbo, on other platforms, is the benchmark for this style of game. The port (I’ve only played on 4th gen iPad) is close enough to perfect for me to have no issues describing it as perfect. The buttonless controls are so good they will make you smile, even if you’re a miserable old sod like me or a terminal arachnophobic, also like me. 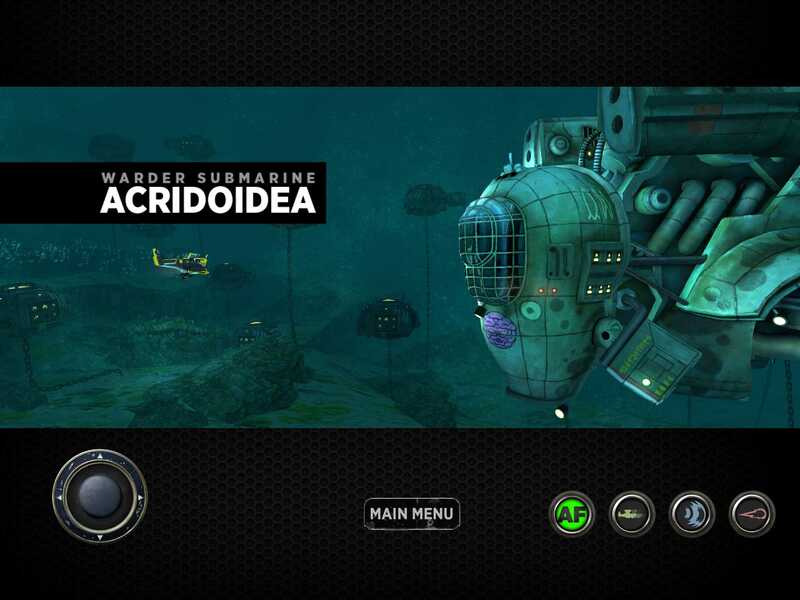 Graphics, sounds, animation, environments and puzzles – all consistently high quality. The bad news: The huge spiders that appear early on are vile. Horrible, creepy, twitching things that make me feel physically sick. That a video game antagonist can evoke this kind of reaction is an achievement to be applauded. One thing I’d like – red blood. I know that would spoil the whole monochrome thing it has got going on, but the occasional splash of red would be rather cool. There are frequent occasions when you will die the first time you encounter a hazard because there is no warning or the puzzle/deathtrap is deliberately hidden or disguised. 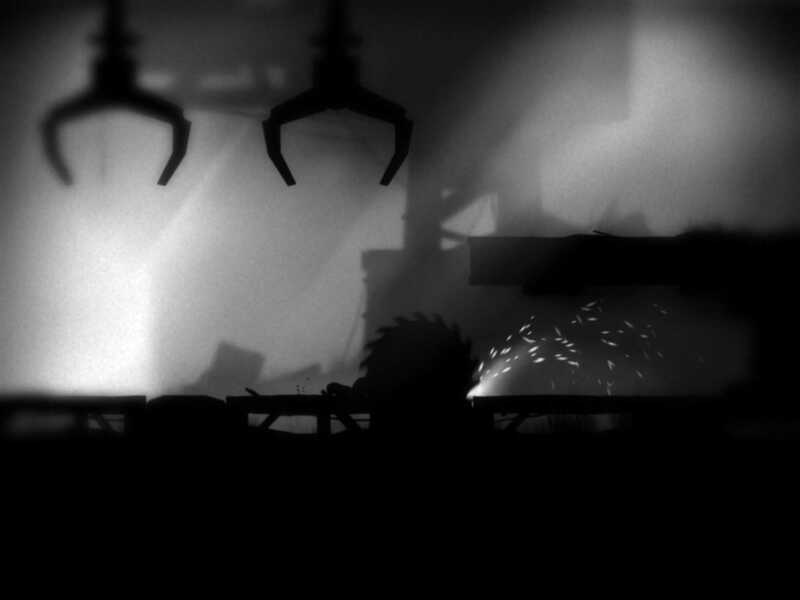 If this sort of thing frustrates or annoys you, it’s s fair bet that you be frustrated and annoyed while playing Limbo. 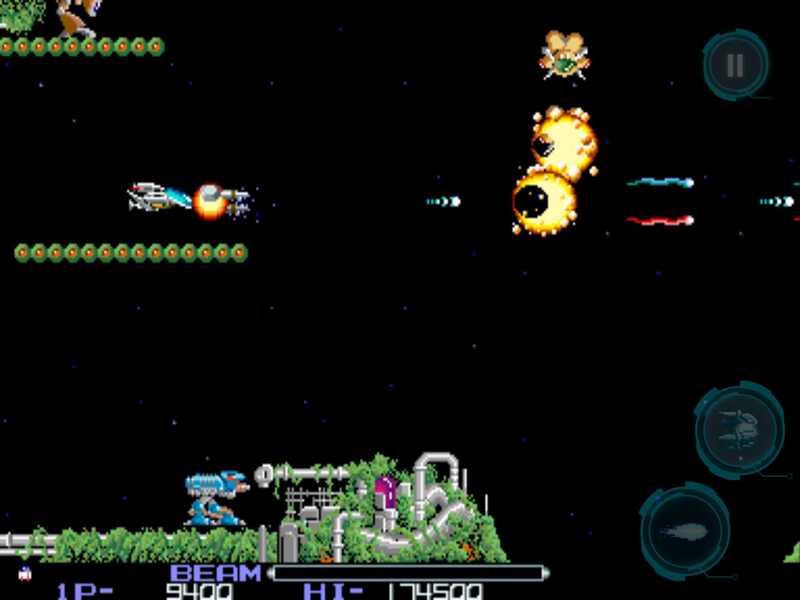 Arcadelife verdict: It’s a very good game, which you probably already know. That would be irrelevant if the iOS port had been compromised, saddled with IAPs or someone had slapped great big buttons on the screen. Don’t worry, there are no compromises, no IAPs and the control system is wonderful. Although the atmosphere and style are consistent throughout, the early forest stages are arguably the most memorable and scary. 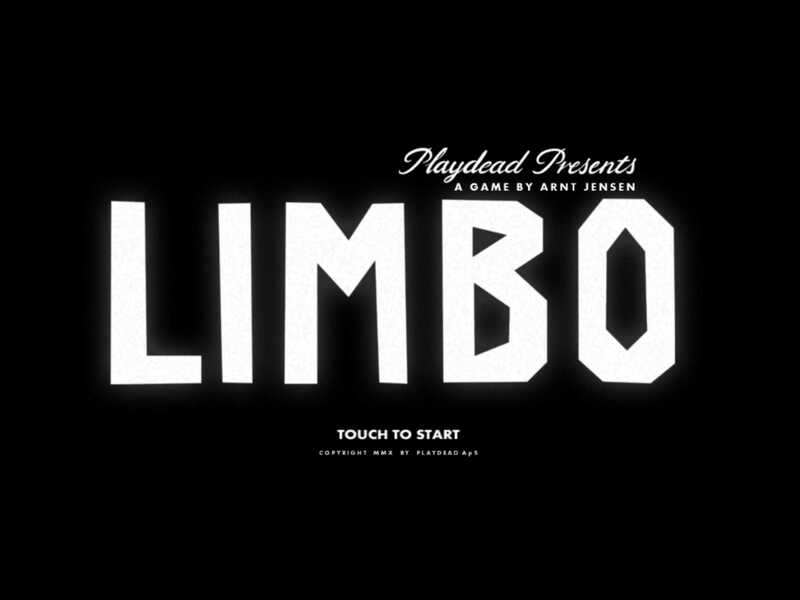 If you like ominous, creepy games with diverse, thought provoking puzzles and challenging platform sections, you’ve probably already played and enjoyed Limbo on another device. I only ever played the free demo on my PC, waiting optimistically for the game to one day appear on my iPad. All I can say is that it was well worth the wait. If you already played it to death (a lot of deaths!) 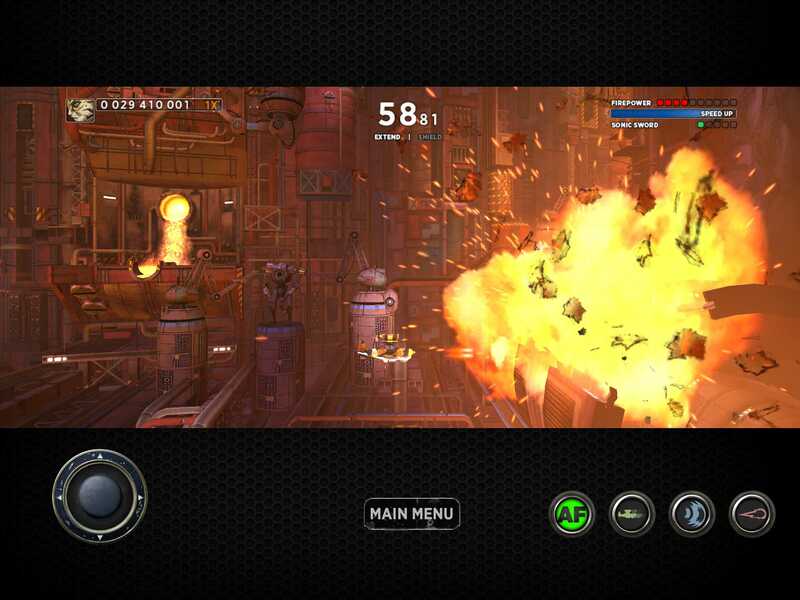 on your PC or console, there might not be quite the incentive to get it again on your iOS device. In my opinion, it’s worth buying anyway, just to see how good touch controls can possibly be in a platform game. 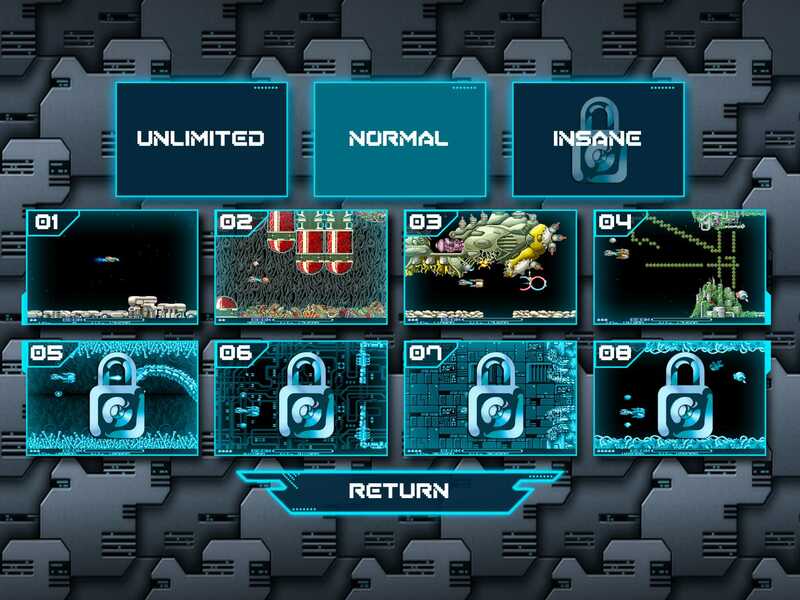 If you’re interested, here’s the Arcadelife review of the PC demo version. You are currently browsing the ArcadeLife : Life vs Video Games blog archives for July, 2013.